Founded in 1901, the Floyd A. Holes Co. was composed of a partnership between Floyd A. Holes and Muriel P. Holes. The company manufactured a wide variety of products, including plastic and aluminum foil bags In the 1930s, and began producing a rust/waterproof textile wrapping under the name ’Hi-Binder’, for which they received a trademark in 1944. 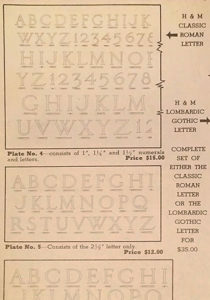 The Floyd A. Holes Company also printed a series of symbol and emblem charts, which it produced for the memorial industry, though the date of the charts is unknown. 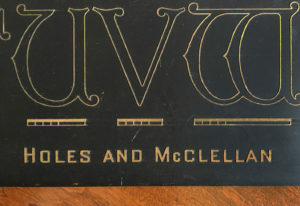 The history of the metal lettering plates created by the Floyd A. Holes company for the memorial industry is a bit fuzzy at this point – as it produced them both under its own name and also as part of a partnership with Harry E. McClellan, under the name ‘Holes & McClellan’. 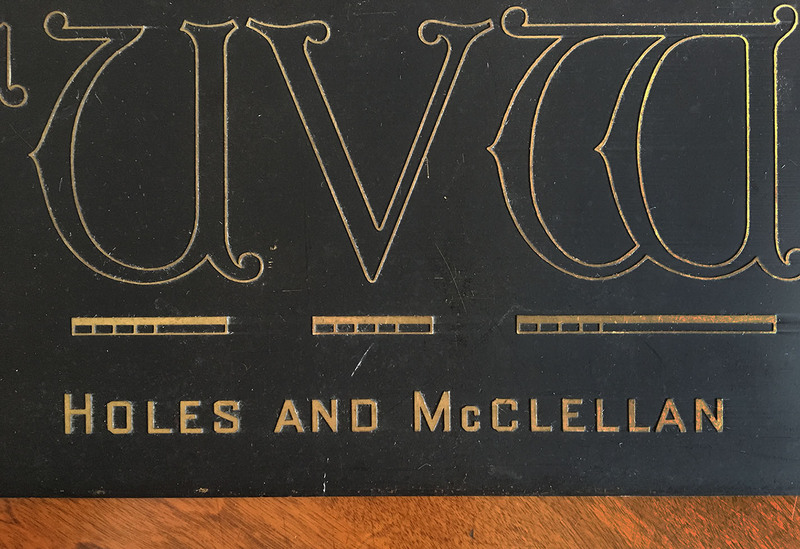 The Holes & McClellan partnership used a small pegasus emblem as its logo (which it carried over from Harry E. McClellan’s Memorial Art Studio business), and were also in the field of offset printing. What is known is that the plates were first produced by the Floyd A. Holes Company and introduced to the memorial industry in 1937 at the national convention for the Memorial Craftsmen of America in Cleveland, Ohio. Exactly when the two companies partnered is unknown at this time. 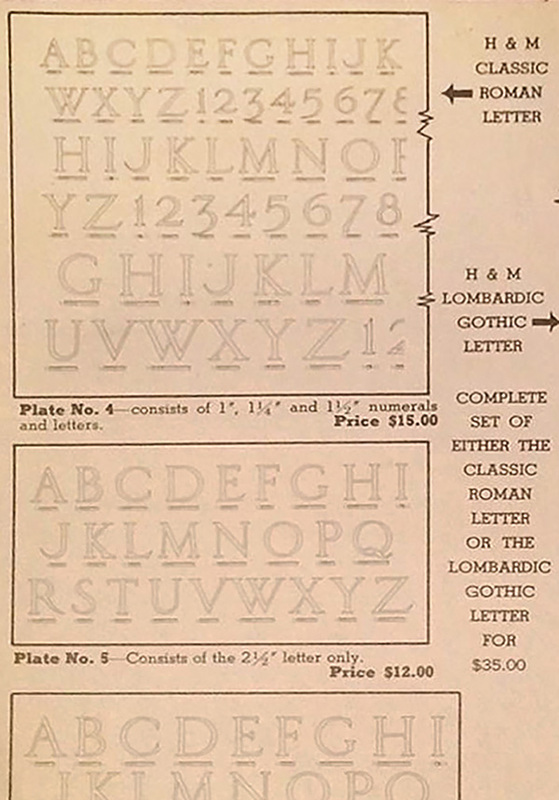 Classic Roman lettering plates by Holes and McClellan. 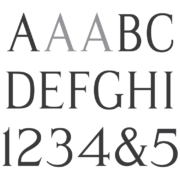 The lettering plates are made of copper and contain raised lettering in various styles at different sizes, along with a system for letter spacing created by architect Egon Weiss which was first published in 1928 by Pencil Points Magazine. 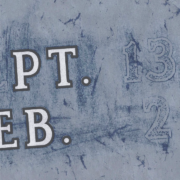 The plates achieved fairly widespread use in the industry, and the lettering can be found on monuments in cemeteries across the United States. 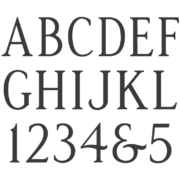 The Floyd A. Holes Company produced nine lettering plates containing Classic Roman, Modified Roman, and Lombardic alphabets at various sizes. When the plates were redesigned after the merger, emblems were also added to some of the plates, including fraternal emblems rosettes. 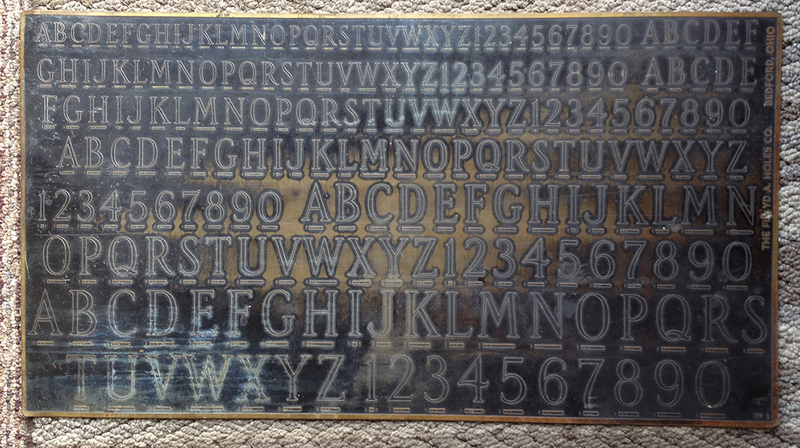 Holes and McClellan Lombardic copper lettering plate No. 8. Harry E. McClellan was also involved in producing designs for the Guy Design Company, of St. Cloud, Minnesota . It is currently not known how long the partnership between Holes and McClellan lasted, or when production on the plates ceased. However, the Floyd A. Holes Company was purchased by the Dobeckmun Company in 1953, and was later dissolved in November of 1954.